Volunteers begin working at Hack to End Homelessness. Several months ago I wrote about why tech workers should care about housing issues. I argued that the tech industry can’t help but alter the character of the city, and that gives those of us in the industry an obligation to engage constructively in urban issues, especially around housing. Since then I co-organized an event, called Hack to End Homelessness, that showcases one way that the tech industry can have a positive impact on the city. The centerpiece of Hack to End Homelessness was a weekend-long “hackathon”, a popular concept from the tech industry where participants come together in teams to rapidly build technology around some theme. For Hack to End Homelessness we partnered with a dozen non-profits working in homeless services and advocacy to design meaningful projects that volunteers could accomplish over a weekend. Volunteers begin working at Hack to End Homelessness. Photo by Sol Villarreal. This model of collaboration was new to most of the non-profits, but by the end of the process the enthusiasm from both the non-profits and the volunteers was overwhelming. Over the course of the weekend 40 volunteers completed nine different projects. One group created an iPhone app to be used by Union Gospel Mission volunteers to survey and respond to the needs of people living on the streets. Another started a Twitter-like peer-to-peer support network that works on low-end mobile phones. A third built maps of housing expenditures, to be used for advocacy in the state legislature. A full list of projects, all of which directly addressed the needs of a non-profit, is available on our website. Graham Pruss and Jeff Lilley demo their app for surveying the needs of people living on the streets. Photo by Dawn Stenberg. My takeaway from this past weekend is that there’s a huge need for technology in the non-profit space and an untapped supply of interested tech workers. All that’s needed is to provide a bridge between the two communities. If you’re a non-profit looking for tech help, or a technologist looking to get involved, there are a few of local organizations you can look to, including Seattle Works, 501 Commons, Seattle GiveCamp and Seattle Tech4Good. And, of course, check back soon at hacktoendhomelessness.com for news on what we’re doing next around homelessness and other issues. Ethan is the founder and lead organizer for Seattle Tech 4 Housing, a grassroots education and advocacy group fighting for progressive housing reform. Seattle Tech 4 Housing was founded on the principals that the tech boom can and should benefit every Seattle resident; that abundant and affordable housing is the foundation of an equitable city; and that the tech community in particular has a responsibility to fight for solutions. 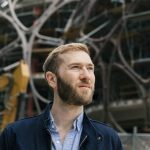 Ethan is also the founder of Seattle in Progress, a real estate tech consultancy and website for tracking construction in Seattle.